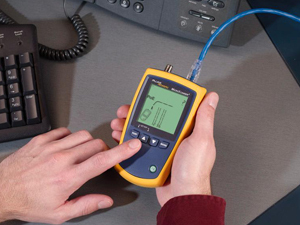 The MicroScanner2 Cable Verifier presents a revolutionary change in voice, data, and video cable testing. 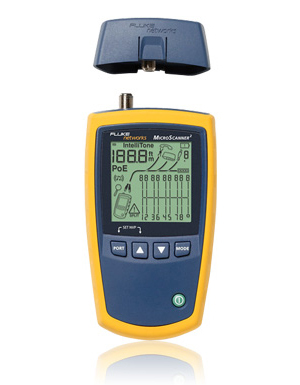 It starts by taking results from what was four different test modes and displaying them all at once – graphical wiremap, pair lengths, distance to fault, cable ID, and far end device. 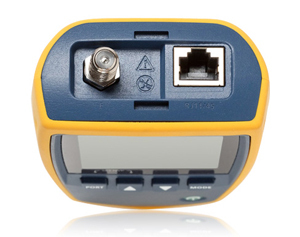 What's more, its integrated RJ11, RJ45, and coax cable test ports support virtually any type of low-voltage cable testing with no need for awkward adapters. The end result is reduced test time and technician error. That makes high-quality installations more efficient than ever. Yesterday's cable verification testers force users to toggle between up to four different modes of operation to view all test results. This not only slows the test process, but also causes frustration and leads to high user error rates. 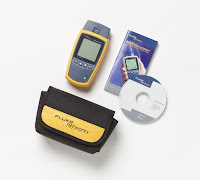 MicroScanner2 has defeated this convention by displaying key test results – wiremap, pair lengths, distance to fault, cable ID, and far end device – all on one screen. Tired of losing or breaking all the adapters needed for testing the various voice, data, and video media types? MicroScanner2 makes these awkward adapters things of the past with built-in RJ11, RJ45, and coax support. 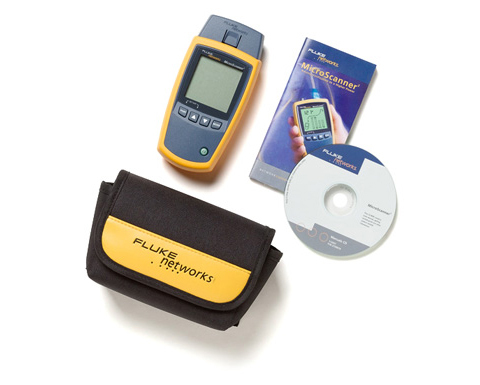 Both the main unit and the far-end identifiers can be used to test telephone jacks, Ethernet jacks, and CATV outlets right out of the box. 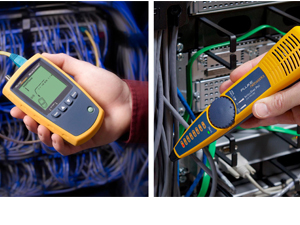 Just one more way MicroScanner2 streamlines cable verification. Voice, data, video technicians have a lot more problems to deal with than just the cabling. 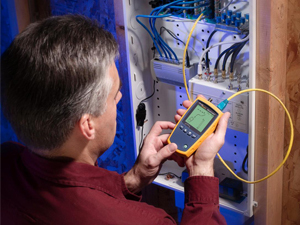 They have to rule out a whole host of potential cable and service issues before determining the cause of a connection problem. 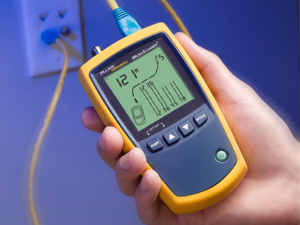 MicroScanner2 acknowledges this, giving technicians high power vision to detect today's most common service problems. Detect the presence of POTS voltage and verify polarity. Verify powered 10/100/1000 Ethernet switches at the far end. Or, confirm proper PoE voltage and pairs. With all the abuse you put your tools through, you can't afford for them to be delicate. 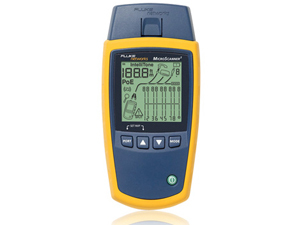 MicroScanner2 features a rubber wrap-around holster that makes it the right tool for even the toughest jobs. Toss it into your toolbox. It can handle it. Plus, it now comes standard with a vinyl carry pouch for enhanced protection and convenience.